The appeal of larger more shapely buttocks is now available to many who in the past had to put up with the limitation of a flat non-projecting rear. The truth is that much like breasts, buttocks are a sexually attractive feature of the anatomy, and especially in certain segments of the population including those from Latin America, and the African-American cultures, the buttocks may even supersede breasts in importance. There are two main ways of achieving larger, more shapely, buttocks surgically. The one way is to use soft solid silicone implants, similar to those used for calf augmentation. These have to be placed within the gluteus muscle. Your plastic surgeon in Cleveland has to create the pocket within the muscle fibers to hold the implants in the right place. A single incision in the crease between the buttocks can be used to accomplish this. The recovery is slow, but the results are good and in most cases very realistic and natural appearing. Significantly larger buttocks can be accomplished even in patients who are very thin and do not have extra fat to be harvested for fat grafting. The second way is to use your own fatty tissue. This is known as fat grafting or fat injection. This is a technique where the fat is harvested using a gentle liposuction technique, prepared, to separate the damaged fat cells and liquid, and then injected through very thin blunt cannulae to ensure that there are multiple tunnels of fat so that the fat can pick up a new blood supply from the surrounding tissues, and survive permanently in the new location. The fat is placed within the existing fatty tissue, as well as the muscle layer deeper. With this technique there is a need for harvested fat so there must be some area where you would like to remove the fats, such as the abdomen or thighs. Another advantage of the liposuction harvest technique, is that by removing fat from around the buttock, i.e. from the flanks and the lower back area, the buttock is made to appear more projecting even before the fat is injected. This together with the projection gained from the fat injection makes this technique appealing. 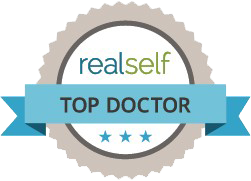 Dr. Green has been using these techniques for many years and is in the forefront of the fat grafting technology. He is now doing larger fat grafts successfully, and improving on the efficiency of the technique. Call today to set up a consultation to address your personal areas of concern.